Catsquid's Art Dump [Taking requests!] 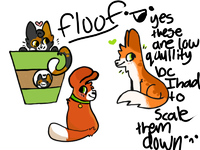 | Cattails: Become a Cat! 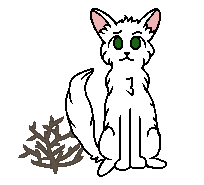 Picture/Description: Sunpaw is a Frost Clan cat, who is a dappled white and yellow female. How do you want it received? : Anyway you like! 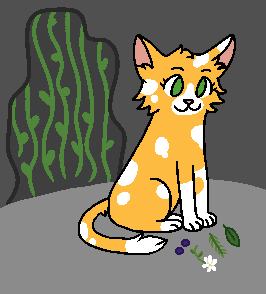 Here's Sunpaw for flooof ! Tell me if you want anything changed. i love it tysm! Tell me if I can make anything for you! (A cat drawing / fox) i'm feeling artsy today! You're welcome! And sure! 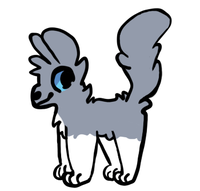 If you'd like to draw something for me, my main "characters" for stuff are Breeze (my profile picture) or Moon (I drew her face somewhere in the dump. If you do her, note that her belly and legs are also white). It doesn't matter to me, whatever you feel like doing! Looks great!!! The white is in the right spots, but Moon does have stripes.